CK All 100ml. is a unisex fragrance for men and women, group of citrus flavors. Home » CK All 100ml. Product Code: CK All 100ml. CK All 100ml. EDT was no exception and, having not had time to enter the market, has gained real success. Applying this contrasting citrus-warm aroma to the skin, you will plunge your head into the world of a daring and fearless youth, where rebellious spirit and youthful spirit reign. 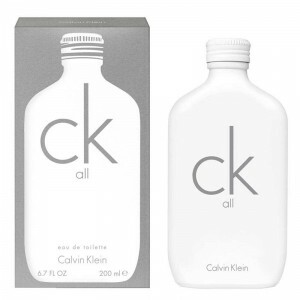 Calvin Klein CK All - another olfactory masterpiece of the brand, which is just doomed to become a bestseller. Sexuality, elegance, provocation, furor - this is not all associations that cause fragrances from the legend, the era of the perfume world Calvin Klein. Notes: Mandarin, citrus jasmine, orange flower, amber. For an unforgettable party / For a festive evening / Light, daily for the office / Novelties of the year 2017 / Fresh for the summer / Seducing for a date.